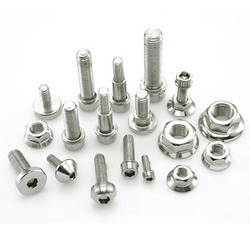 Backed by diligent professionals, we are providing high quality Industrial Fasteners. Made from stainless steel, carbon steel and alloy steel the offered fasteners are used widely for attaching lids to boxes and for fixing other hardware items. Designed with adherence to highest industry standards our offered fasteners are trusted widely for its durability and longevity and can be ordered from us at a leading price.